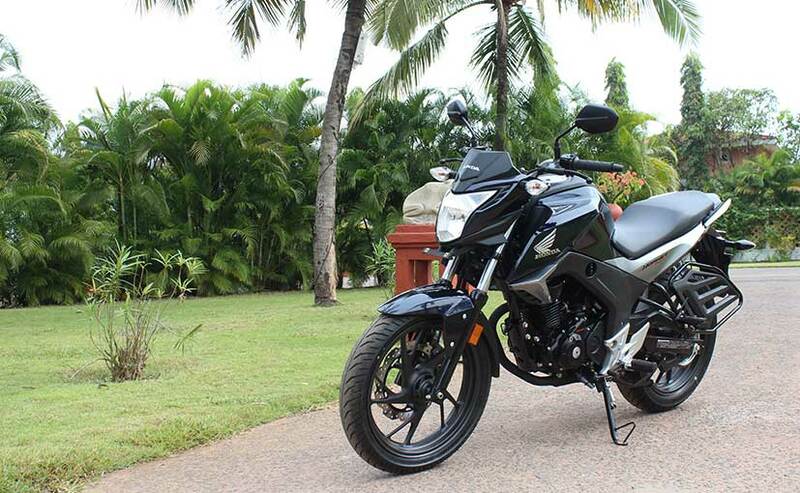 When Honda announced that it will be launching its 160cc CB Hornet 160R as its last bike in 2015 in the Indian market, everyone knew that it would face tough competition from the Suzuki Gixxer and the Yamaha FZ-S FI V2.0. 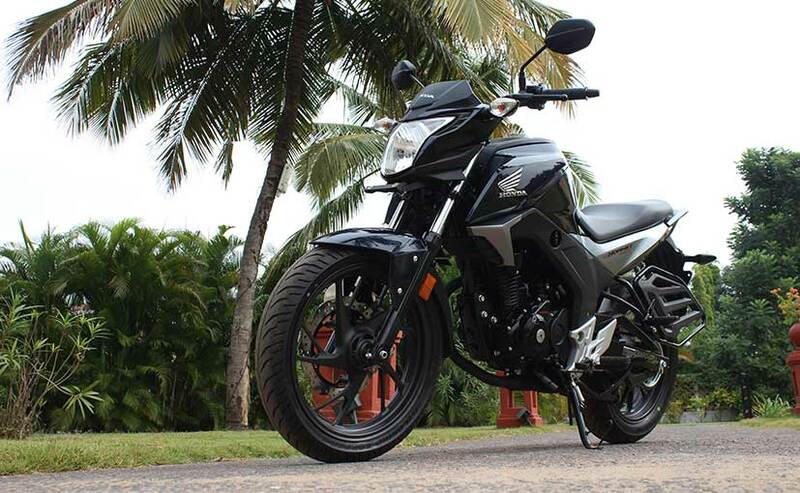 We all know how successful the Yamaha FZ is in the Indian market and the Suzuki Gixxer, despite not being very old in the market, has also created a niche for itself. We take a brief ride on the just launched Honda CB Hornet 160R on the narrow and winding roads of Goa to find out if the Yamaha FZ FI V2.0 and Suzuki Gixxer have anything to worry about. One look at the motorcycle and you know that it is at par with the competition, which is quite a good thing to say considering I love the way the Gixxer looks and everyone knows how purposeful the look of the Yamaha FZ is. The headlamp of the Hornet 160R gives it an impressive look and resembles the one found on the Honda CB 1000R. The slightly-upward side exhaust gives the bike a sporty look which is complimented by the monoshock at the rear and the fuel tank has sharp curves making it look quite aggressive. The carbon-fibre-like touch on the fuel tank makes it look premium and adds more bang for your buck. The X-shaped LED tail lamp looks nice and adds to the overall sporty look and feel of the motorcycle. 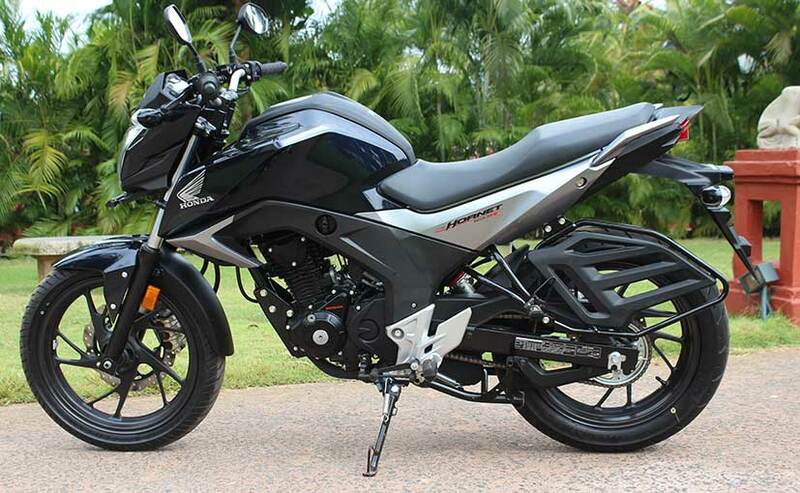 Yes, it doesn't look as aggressive as the Yamaha FZ-S but can be compared to the Suzuki Gixxer. The switchgear feels a little ill-equipped as it lacks an engine kill switch and the high-beam low-beam shifter might take some time to get used to. Another refreshing bit was to see the thoughtfully-made kick lever of the Hornet. It can be engaged to start the bike and then put back in its place in one very seamless manner. Push the start button and you are welcomed by this sweet sound which immediately tells you that this bike is a typical Honda machine in terms of refinement. The riding stance isn't as aggressive as the Yamaha FZ's, which is a good thing, if you ask me. Doing long distances on the Yamaha FZ can be tiresome for the same reason. We couldn't ride the Honda CB Hornet 160R much to comment on that precisely, but it felt extremely comfortable. On a few occasions I wanted to go faster, I just shifted my weight ahead and the bike went exactly where I wanted it to go. 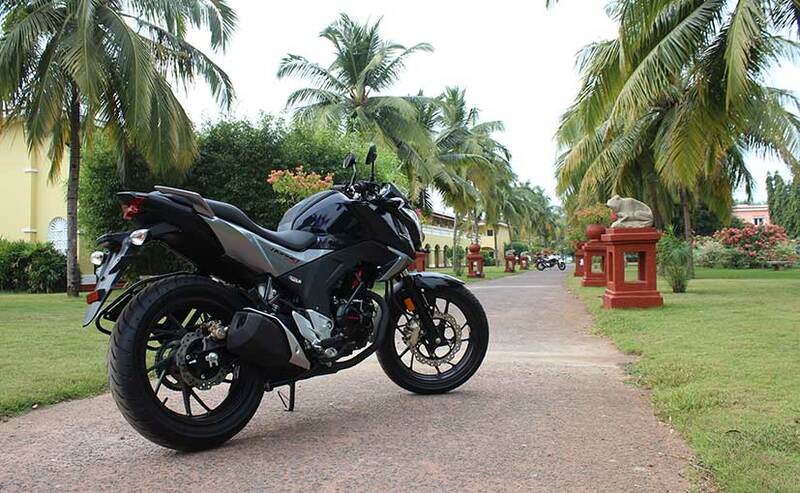 On the narrow and serpentine Goan roads, the bike stayed firm and responded in every gear throughout the rpm band. The engine redlines easily which allows you to use the power available with ease. After 6,500rpm the engine hum changes to a grunt which encourages you to redline in every gear. The 162.71cc engine delivers 15.7bhp at a slightly higher 8,500rpm, the peak torque is 14.76Nm which is delivered at 6,500rpm. The five-speed gearbox does its duty smoothly and didn't fumble once during those five kilometres for which we rode the bike. Ride quality is firm and handling commendable, but it was too brief a ride to really put the Hornet through its paces. Another thing which adds to the masculine quotient of the bike is the rear tyre. The 140/70 17 MRF Zapper S1 not only grips well, but also gives the rear a purposeful look. At the front we have a 100/80 17 MRF Zapper which does a good job. Bringing the bike to a standstill is a task which is done by the braking system developed by Nissin. The 276mm disc at the front is held using a three-cylinder caliper which has all the bite needed to stop this bike on a dime. The version we rode was the CBS variant which means that the bike had a 220mm disc at the rear end. As implied, CBS is a technology which automatically engages the rear brake if the rider has pulled the front brake lever. The basic variant of the Honda CB Hornet 160R has been priced at ₹ 79,900 and the CBS trim has been priced at ₹ 84,400 (both ex-showroom, Delhi). 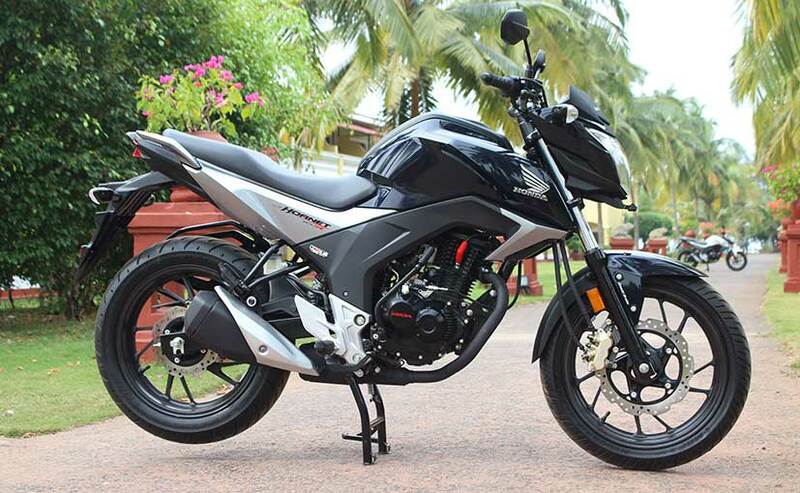 At this price, it has a very good chance of hitting the sales figures of the Yamaha FZ and the Suzuki Gixxer. Gixxer, being a newer bike as compared to the Yamaha, might not feel the heat as much as Yamaha FZ. I think the bike has what it takes to be an instant hit, but personally, I would still bet my money on the Suzuki Gixxer, which in my opinion has more character. There is nothing wrong with the Honda CB Hornet 160R as such, but it lacks something. Inexplicable 'something' perhaps, but then again, to each his own.